What does this mean for the classroom teacher? How do you keep a balance of literacy instruction in your teaching? What might this look like? Firstly, every child should be reading a book of his/her own choosing independently. This might include a reading continuum from easy to more challenging, depending on the students’ interest and motivation. As time allows, teachers should be conferring with individual students to check on their fluency and comprehension. Secondly, I believe teachers should meet regularly with students in small, guided reading groups using a variety of leveled texts in order to grow their students in skills and fluency. This is an opportunity for them to give instruction that is at their level so they aren’t frustrated and can have repeated practice of skills. 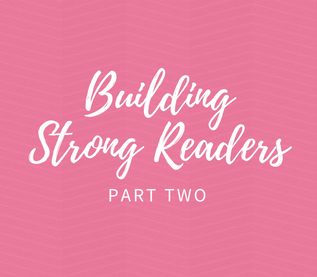 Lastly, I believe teachers should provide opportunities for students to read high-quality fiction and nonfiction in frustration level texts through read alouds and shared readings, with scaffolded instruction. Close reading scaffolded instruction with complex texts involves chunking the texts into pieces that aren’t overwhelming. This teaches students to annotate their thoughts while reading, re-reading, and discussing with their peers. To answer the opening question in Part One… Yes, I now believe we must give students opportunities to read frustration texts, and if we don’t we are missing another opportunity to grow them as readers. Does this mean my philosophy of how to teach reading has evolved again? You’re darn right it does. Just like I wouldn’t want my physician treating me on only her knowledge 20 years ago, we must evolve. We must grow ourselves as teachers, and do our best to provide instruction to our students that meets both the research and what we inherently believe as teachers. If you want to know how I teach close reading, and also leave with a boat load of lessons already planned out for you, join me in the Close Reading and Text-Dependent Questioning Workshop this fall!